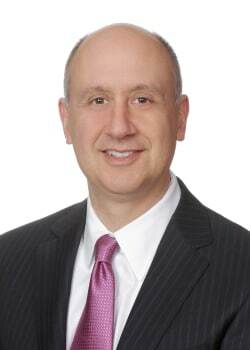 Joseph Ostoyich is a senior partner of the firm, a member of its executive committee, and chair of the firm's litigation department in Washington, DC. He has more than 25 years of experience representing some of the world's leading companies in bet-the-company price fixing, monopolisation and the full gamut of antitrust litigation in US courts and in merger and non-merger investigations in industries ranging from high-technology to paper, chemicals, foundry, energy, transportation and agricultural commodities. Mr Ostoyich recently received a defence verdict as lead trial counsel in an eight-week bench trial against the Federal Trade Commission on charges that his client conspired to fix prices directly and through an industry association. The Commission's decision to dismiss six of its own counts marked the first time in two decades that the Commission ruled against its own claims. This case earned Mr Ostoyich and the trial team recognition as “Legal Lions” in Law360's Weekly Verdict: Legal Lions & Lambs (14 February 2014) and the award for Behavioral Matter of the Year - Americas by the Global Competition Review (14 April 2015). Additional recent litigation verdicts include receiving a zero-dollar judgment on behalf of a client facing a multibillion dollar monopolisation suit brought by its main rival, a summary judgment in a price-fixing case charging his client with participating in a decade-long conspiracy to fix natural gas prices, and the dismissal and denial of class certification in a long-running set of direct and indirect purchaser monopolisation and conspiracy class actions. In all three cases, his cross-examination of the opposing experts led the courts to exclude or disregard their testimony. Mr Ostoyich also received dismissals on the pleadings in several other antitrust cases. Mr Ostoyich also represents parties in merger reviews by the Department of Justice, the Federal Trade Commission, the European Commission and government authorities around the world. He most recently represented MeadWestvaco Corporation in a worldwide clearance for its $16 billion merger with RockTenn Corporation. He is regularly recognised as a leading antitrust lawyer in Chambers USA and The Legal 500, rated “Pre-eminent” by Martindale-Hubbell, and named a DC Super Lawyer for Antitrust. He is a member of the Antitrust Council of the US Chamber of Commerce and regularly speaks at industry conferences and client retreats about antitrust law developments. He has written and edited several dozen articles and analyses of the antitrust laws and co-authored a chapter on the law and economics of antitrust damages in a leading treatise.